This cutie is looking comfortable and relaxed! Those eyes! Who could resist?! 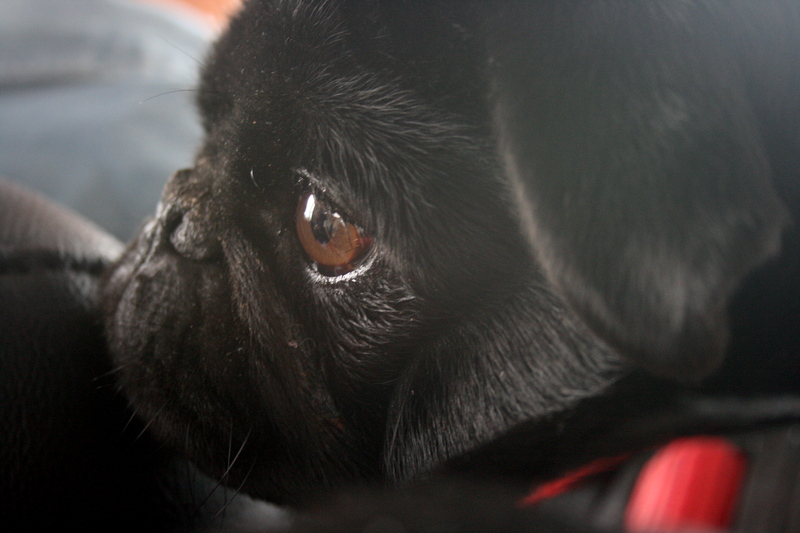 We are all too familiar with the persuasive power of the pug gaze. 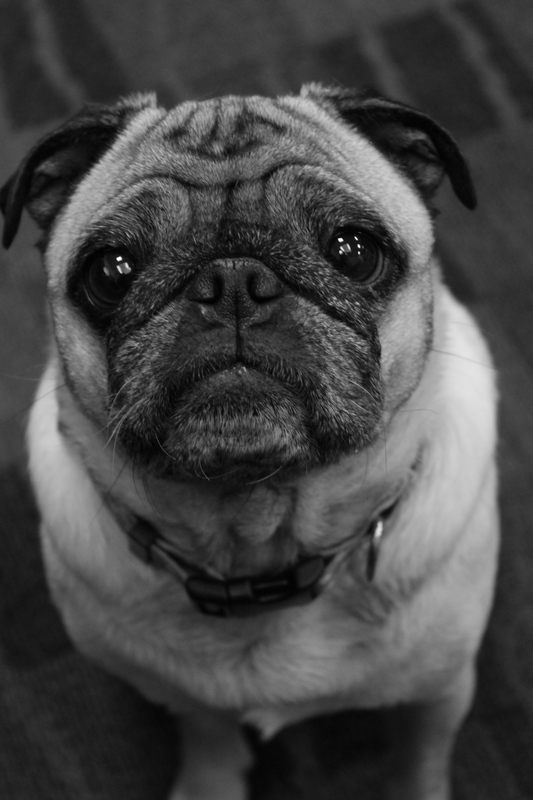 This heart-melting stare typically occurs when it is least convenient to drop everything and just snuggle with your pug. We commonly witness it when frantically working on the computer to get something done (clearly neglecting our play time duties) or when we are running late and trying to put our shoes and coat on as we’re running out the door. Let’s just say pugs are really good at reminding us what’s important in life, and we can never say no to that adorable face. Something astonishing must be going on in that corner! 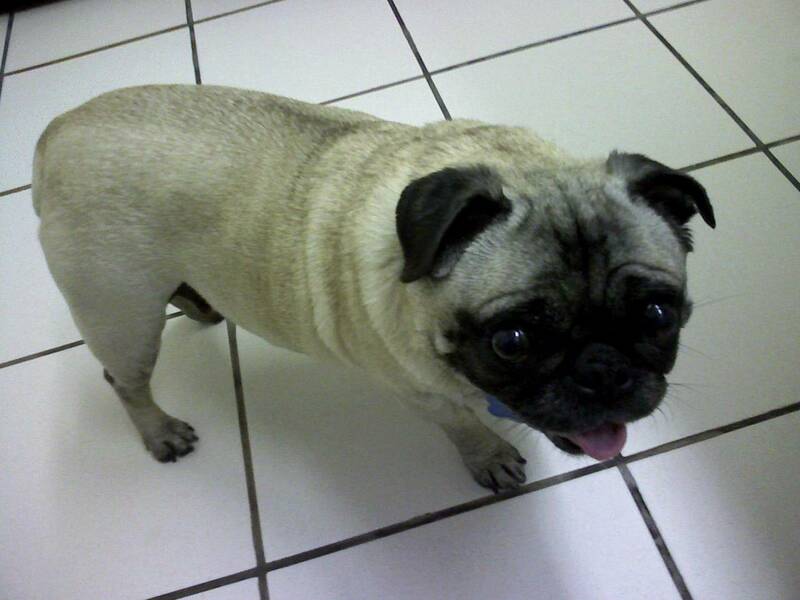 This adorable pug would love to know if it is dinner time yet! 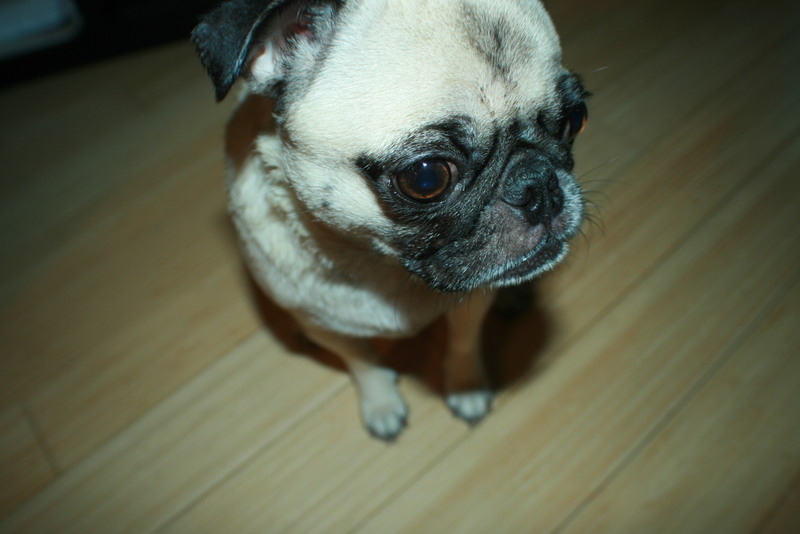 This cute pug is a bit shy! We’re not sure why, because shes absolutely darling. However, she is just a bit hesitant to step into the limelight! 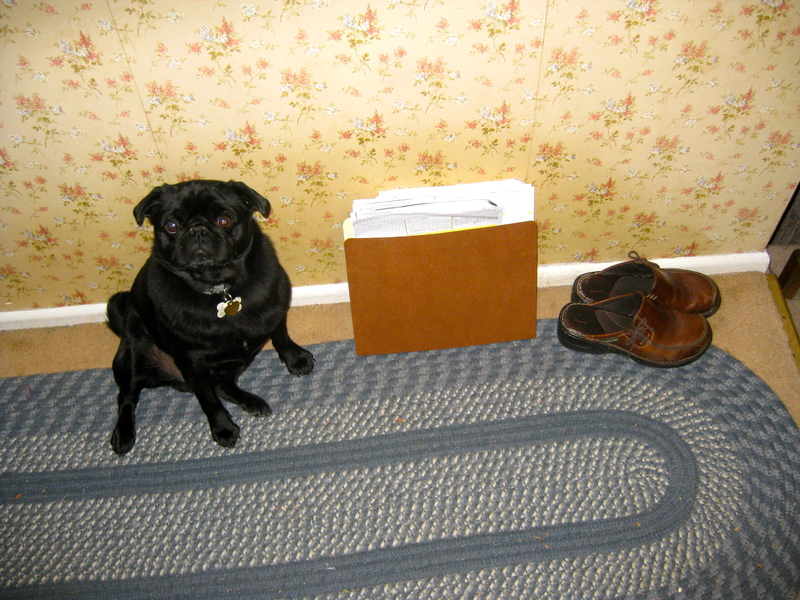 This pug is ready to head off to another day at the office! 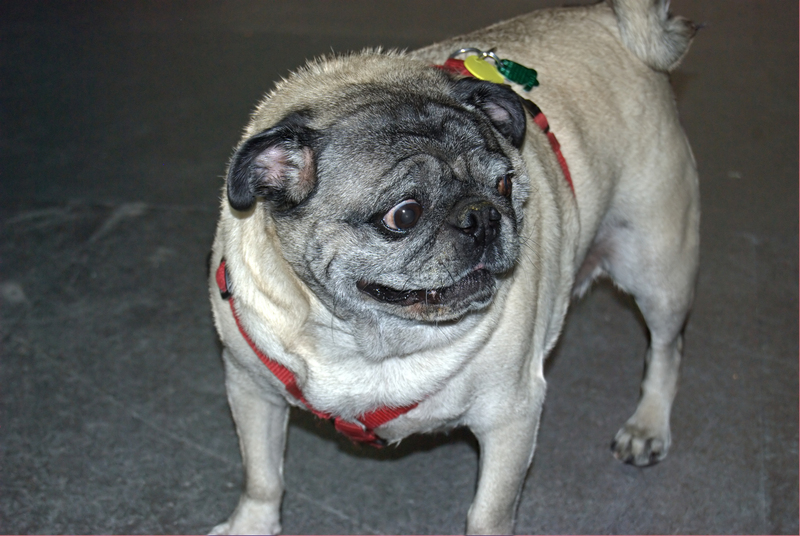 So, he may not look too happy about it, but this pug knows that sometimes you have to do, what you have to do. Go outside? In this cold? You must be crazy. 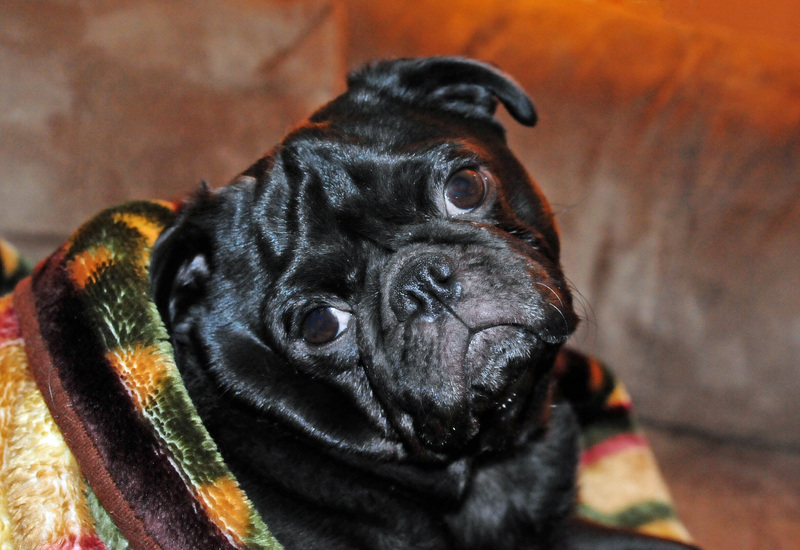 Pugs can have a stubborn streak, and we know firsthand that it can be especially tough to motivate your pug to go outside in the winter months (or any time it’s raining, dark, hot, or they just don’t feel like it). It may be hard to coax your pug out of bed for a bathroom break, but we think it makes our pug appreciate her nice warm bed even more when she gets back inside. Hopefully warmer weather will be on its way soon! 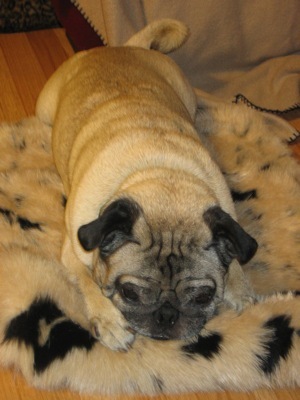 Pug enjoying a cozy Saturday! 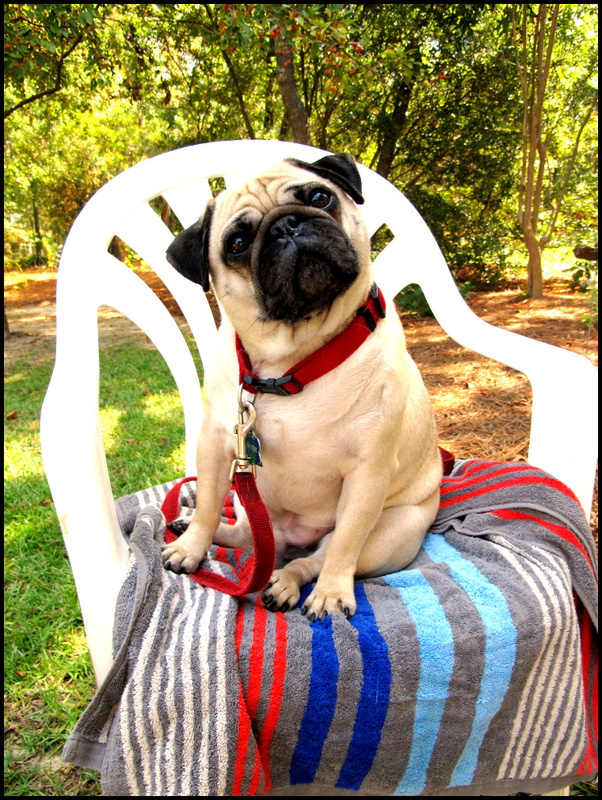 If the winter weather is getting you down, grab a comfy blanket and snuggle up with your favorite pug! We’ll definitely be spending the day staying warm and hiding from all the snow. Why is Friday going by so slowly? Sometimes it seems like time is ticking by at an unbearably slow rate. We’ve noticed a pattern in this phenomenon… it seems to mostly happen on Fridays! 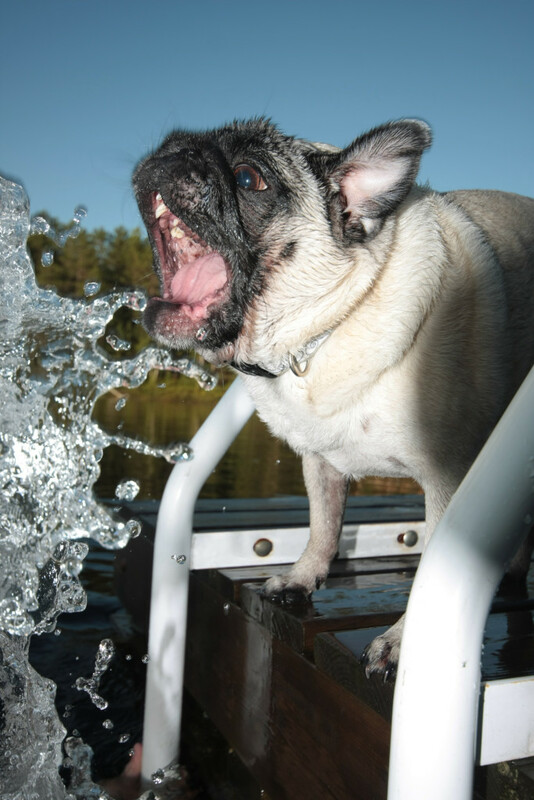 This pug is ready to get the weekend festivities started already! Sometimes that water just sneaks up on you, you know? This guy is doing his best to fend it off, but it may be a losing battle.